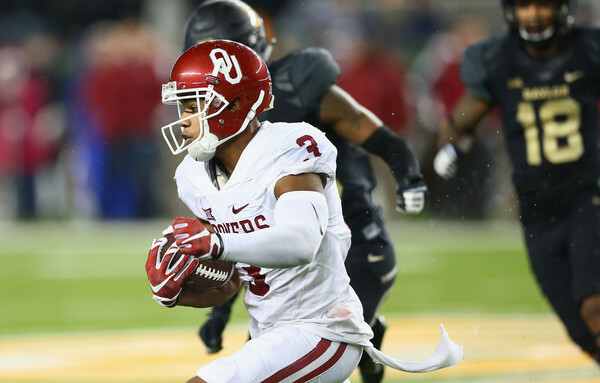 Two weeks after Sterling Shepard graduated from the University of Oklahoma and receiving his father's 1985 National Championship ring as a graduation gift from his mother. Though, Shepard has the motivation to get a ring of his own, he remembers Oklahoma’s embarrassing loss to Clemson in last year's Russell Athletic Bowl. Here, though, is the true source of Shepard’s motivation in Miami: December 29, 2014. Clemson 40, OU 6 in the Russell Athletic Bowl. Asked this week about Alexander, who has had an even better sophomore season, Shepard offered: “I don’t know. I couldn’t tell you. I don’t really pay attention to the defensive side of the ball too much.” Don’t let the gamesmanship fool you. At Miami International the day of OU’s arrival, Shepard said all he’d been doing was watching film.